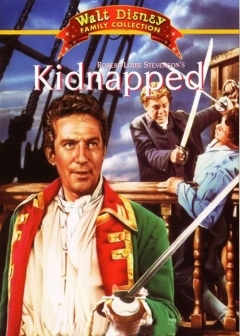 Another Walt Disney movie filmed in the rocky, mountainous region of the Scottish Highlands is the 1960 classic Kidnapped starring Peter Finch and Peter O'Toole. Young boys will love the action and the sword fighting in this adventure film about a 16 year old lad cheated out of his inheritance by his cruel uncle and shanghaied aboard a ship to the New World. The teenager escapes, has a run-in with the redcoats, and eventually recovers his lost inheritance. In this film you will get a glimpse of the glorious empty grandeur of the Scottish Highlands. A region that still today is very sparsely populated, it is rich in natural beauty and surrounded by vast, rugged mountain ranges, windswept islands, secluded beaches and captivating scenery.